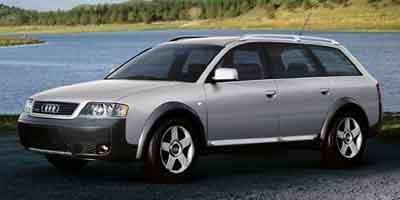 An upgraded variant of Audi’s Avant wagon, the allroad was created during the onslaught of car-based utility vehicles. Developed as a fusion of a sport wagon and a sport utility vehicle, the Audi allroad was introduced in Europe in 1999 but arrived in North America for the 2001 model year. 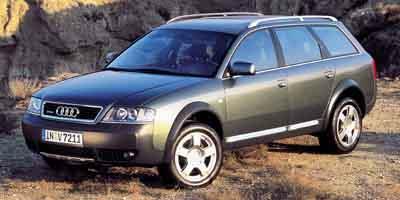 Based on the A6 Avant, the 2001 Audi allroad was exclusively equipped with quattro all-wheel drive and features a taller 5.6-inch ground clearance. 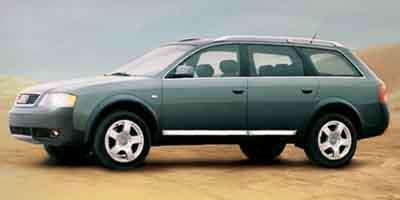 A standard air-adjustable suspension system was also found on the 2001 Audi allroad allowing the vehicle’s height to be augmented to the terrain. 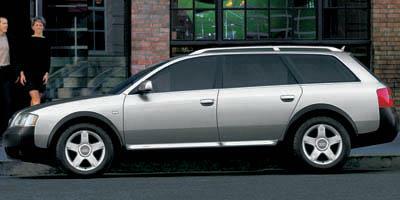 Along with the aggressive all-wheel drive personality, the 2001 Audi allroad also featured a large amount of luxury hardware including dual-zone climate control. Propelled by a 250-horsepower, turbocharged 2.7-liter V-6 engine, the 2001 Audi allroad could be mated with a five-speed automatic or a six-speed manual transmission. 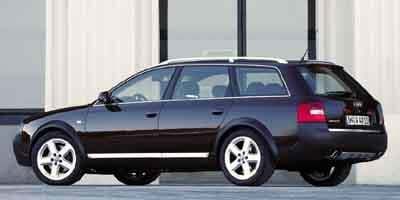 In 2004, Audi’s 4.2-liter V-8 engine became available on the allroad wagon. Classified as a wagon, the Audi allroad predated the German luxury car manufacturer’s entrance into the crossover vehicle marketplace. Ahead of the debut of the Q7 crossover, the Audi allroad was discontinued in the United States after the 2005 model year. For the 2013 model year, an all-new Audi allroad returned to North America with modern focus on both utility and luxury based on the A4 sedan. 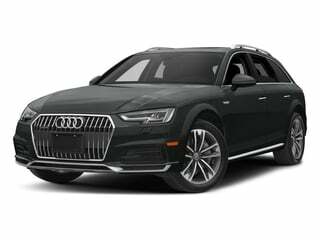 Powered by a TFSI 2.0-liter engine connected to an eight-speed automatic transmission, the all-wheel drive 2013 Audi allroad is wider than the typical A4 and features distinctive touches such a stainless steel skid plates. 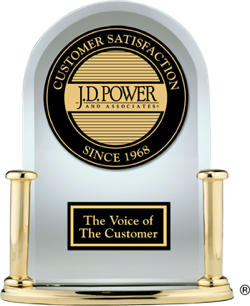 For 2014, engine output from the turbocharged powerplant increased from 211 to 220 horsepower. 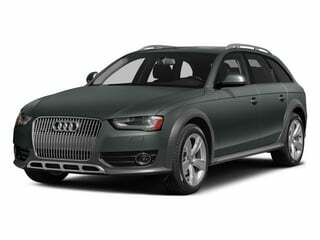 Audi’s Allroad luxury wagon is both classy and elegant, with plenty options to consider for the perfect fit. Audi’s Allroad wagon is roomy, elegant, seductive and feature-rich. Wagons come and wagons go. The Audio allroad offers zippiness, interior luxuries and the feeling of a crossover with the sleekness of a wagon and enhanced maneuverability. An AWD wagon based off the Audi A4, the 2014 Audi allroad is a rugged vehicle capable of performing in all types of weather. The new 2013 Audi allroad is hatch/wagon variant of the Audi A6 powered by a 2.0-liter 4-cylinder turbo-charged engine that produces 211 hp and 258 lb-ft of torque. A rugged yet luxurious sports wagon that has a split personality, the 2005 Audi allroad acts just as its name implies and is very capable both on and off the road. The 2004 Audi allroad is a sporty five-passenger AWD wagon that is powered by a 2.7L turbocharged V6 producing 250 hp while a 4.2L V8 is also available. A five-passenger sports wagon that comes standard with quattro AWD, the 2003 Audi allroad is powered by a 2.7L turbocharged V6 which generates 250 hp. The most versatile vehicle in the lineup, the 2002 Audi Allroad is a luxury sports wagon that seats five passengers and is equally at home on the highway or on a rugged dirt road. A sporty wagon that can go anywhere thanks to standard AWD and adjustable suspension, the 2001 Audi Allroad seats five passengers and comes standard with dual-zone climate control.